Expand your academic palate and sample new subject areas with an interdisciplinary afternoon showcasing faculty research at UFV. Faculty presenters each take the stage for a maximum of two minutes and speak about the exciting findings and implications of their research. 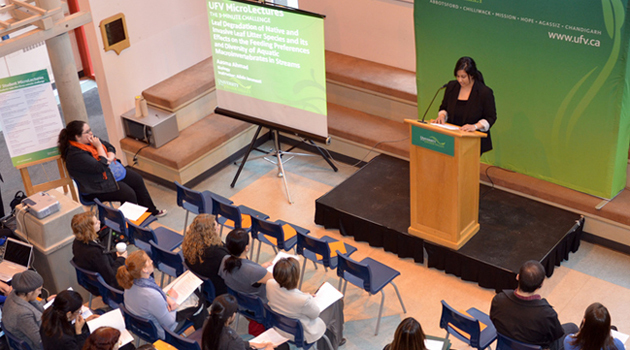 Feed your academic appetite and learn about over a dozen new topics in under an hour at UFV’s Faculty Microlectures event. Come to the Spirit Bear Cafe in Building A to hear the lectures. Tues, April 2, 11:30 am-12:30 pm.